OHM Pipe Tobacco 6oz Gold Au Naturalle is made using our premium blend of bright leaft tobacco and our gold has a smoother somewhat milder flavor than the rest of our Au Naturalle produdt line. And, all of the components in the tobacco blend are organic, with nothing artifical added to enhance the flavor. The quality of our Au Naturalle pipe tobacco line speaks for itself and don’t take our workd for it – our OHM Au Natrualle Pipe Tobacco blends consistently garner great reviews via Yelp, Biz Rate and here on our own web site; it’s rated one of the top five best selling pipe tobacco products in the world. All of our OHM Pipe Tobacco products use high quality Virginia tobacco leaves that we have been sourcing for many years, the product has no pesticides or additives other than for flavoring elements, is manufactured to our exacting standards, aged and stored in temperature controlled facilities, ensuring a rich and satisfying taste experience. Red: has a bit of a stronger taste, nothing harsh, just a bit more tobacco flavor. Menthol a touch of mint, nothign more and not over the top, a mild minty taste. 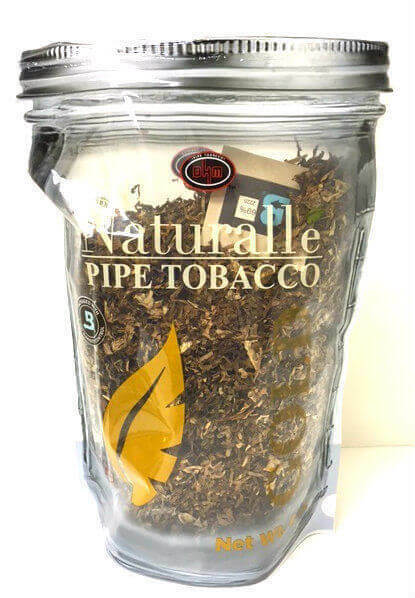 Our OHM pipe tobacco family is manufactured to exacting standards every RYO tobacco smoker expects, stored properly in every step of the supply chain and each bag of pipe tobacco is resealable, ensuring your pipe tobacco will stay fresh.